U.S stocks dropped yesterday as marquee technology companies continued to slide on growth concerns, with losses being curbed by a rise in energy firms on higher oil prices and in financials ahead of the Federal Reserve meeting. The technology index has been under pressure after underwhelming forecasts from Facebook, Intel and Twitter threw up questions about the growth prospects of a sector whose surge has propelled the stock market to record highs. Apple, which was trading higher premarket, fell 0.5 percent and is due to report earnings yesterday after the bell, the only one of the so-called FAANG group that is yet to report. Other FAANG members also declined: Facebook fell 3.2 percent, Amazon declined 0.8 percent, and Alphabet dropped 1.8 percent, while Netflix slid 4.3 percent. 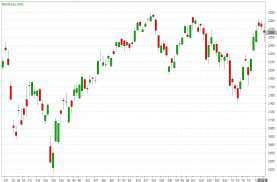 The Dow Jones Industrial Average was down 15.51 points, or 0.06 percent, the S&P 500 was down 7.90 points, or 0.28 percent and the NASDAQ was down 67.60 points, or 0.87 percent. The Federal Reserve meets on Tuesday and Wednesday and is expected to keep rates unchanged. The Dow Jones Industrial Average fell 0.57% yesterday. The best performers of the session on the Dow Jones Industrial Average were Merck & Company Inc., which rose 2.08% or 1.32 points to trade at 64.81 at the close. Meanwhile, Chevron Corp added 1.48% or 1.86 points to end at 127.83 and Verizon Communications Inc. was up 0.92% or 0.48 points to 52.49 in late trade. 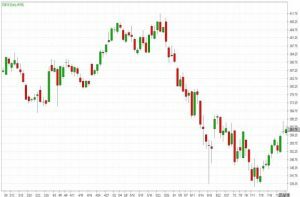 The worst performers of the session were Visa Inc., which fell 3.01% or 4.23 points to trade at 136.48 at the close. American Express Company declined 2.89% or 3.00 points to end at 100.85 and Boeing Co was down 2.66% or 9.59 points to 351.06. The tech heavy NASDAQ index lost 1.39% yesterday. The top performers on the NASDAQ Composite were SSLJ.com Ltd Class A which rose 61.48% to 2.1800, ARCA Biopharma Inc. which was up 40.86% to settle at 0.817 and MYnd Analytics Inc. which gained 33.81% to close at 1.86. The worst performers were Helios and Matheson Analytics Inc. which was down 60.00% to 0.800 in late trade, iFresh Inc. which lost 34.18% to settle at 2.60 and Wilhelmina which was down 23.97% to 6.25 at the close. Oil prices rose yesterday, with U.S crude futures jumping more than 2 percent, as traders continued to focus on supply disruptions and a possible hit to crude output from U.S sanctions on Iran. U.S. West Texas Intermediate crude futures (WTI) rose $1.44, or 2.1 percent, to settle at $70.13 a barrel. WTI rose on expectations that U.S. inventories fell last week and worries that an outage at a Syncrude facility in Canada will not be solved as soon as expected. Crude inventories at the Oklahoma, delivery point for WTI has been dwindling, in part due to the situation at the Syncrude facility that has reduced the flow of oil into the hub. Stocks at the Cushing dropped to 23.7 million barrels, the lowest since November 2014 in the week to July 20. Oil prices have rebounded from recent lows over the last two weeks, as looming sanctions on Iran have already started to curtail exports from that country. U.S. President Donald Trump said on Monday he would meet with Iran’s President, Hassan Rouhani. Gold steadied yesterday ahead of a meeting of the U.S Federal Reserve this week that could yield clues to the future direction of U.S interest rates and the dollar, key factors for precious metals prices. Spot gold was steady at $1,223.14 per ounce, compared with a one-year low of $1,211.08 hit earlier this month. U.S. gold futures for August delivery settled down $1.70, or 0.1 percent, at $1,221.30 per ounce. A higher U.S. currency makes dollar-denominated gold more expensive for holders of other currencies, which could subdue demand. Dollar gains since the middle of April have led to losses of about 10 percent for spot gold prices. Gold is still a dollar story, and I see no sign of the correlation breaking down. A significant driver for dollar gains has been safe haven flows due to trade tensions. Lack of investor interest is leading gold to behave like a currency; there are no safe haven flows to gold. The United States signaled last week it is set to push ahead with talks with Canada and Mexico after agreeing to suspend hostilities over tariffs with Europe in a deal that may clear the way for renewed pressure on China. There’s a flurry of Fed announcements coming out this week, and I think we are in a holding pattern until we hear from one of these central bank opinions. The Bank of Japan ends a two-day monetary policy meeting today, while the Bank of England is expected to raise interest rates on Thursday. The U.S central bank’s two-day meeting, which starts today, is expected to keep benchmark interest rates steady after hiking in June. Investors will be looking for clues to the timing of the next rise. Expectations are for two more rate rises this year and three next year. Higher U.S. interest rates create an opportunity cost for investors. Hedge funds and money managers increased their net short position in COMEX gold contracts to their highest since 2006, in the week to July 24, recent U.S. Commodity Futures Trading Commission data showed. 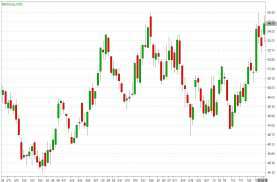 Wheat futures rallied almost 3 percent yesterday on concerns that deteriorating crops in several key producing countries will tighten global stocks of the grain. Corn scaled to a 1-1/2-month high on spillover support from wheat and as dry conditions in parts of the U.S corn belt trimmed harvest prospects. This information has been prepared for information only and does not constitute an offer or commitment. This information does not constitute investment advice as defined by the rules of the FCA. The firm or its staff members may trade on their own account and may from time to time hold or act as market makers in investments mentioned in this document. Please note that the firm makes no warranty, expressed or implied, as to the accuracy or completeness of the information and opinions herein. All parties are advised to seek independent professional advice as to the suitability of any products and to their tax, accounting, legal or regulatory implications. City Credit Capital (UK) Ltd is authorized and regulated by the Financial Conduct Authority, reg 232015. The U.S Dollar was lower yesterday, while the euro and sterling were higher as investors wait for a a number of central bank meetings this week. The U.S Dollar index, which measures the greenback’s strength against a basket of six major currencies, was down 0.43% to 94.06. Meanwhile, the pound inched higher, with GBP/USD rising 0.31% to 1.3146. Investors are waiting for a flurry of central bank policy decisions this week that could determine direction of currencies. The Federal Reserve makes a policy decision Wednesday afternoon, but with no rate hike expected. Investors expect the Fed to raise rates in September, with the chance of an increase at 87.8%. The U.S economy accelerated as expected in the second quarter, underlining the case for the Federal Reserve to gradually increase interest rates. Gross domestic product registered a seasonally-adjusted annual rate of 4.1% growth in the second quarter, its fastest rate of growth since the third quarter of 2014. Other central banks are also meeting this week, with the Bank of Japan ending its two-day meeting today. The Bank of England is expected to raise interest rates on Thursday, despite Brexit uncertainty. The dollar was lower against the safe-haven yen, with USD/JPY decreasing 0.05% to 110.97. In times of uncertainty, investors tend to invest in the Japanese yen, which is considered a safe asset during periods of risk aversion. 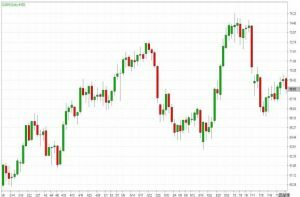 The euro was higher after the dollar fell, despite the European Central Bank keeping rates unchanged last week. 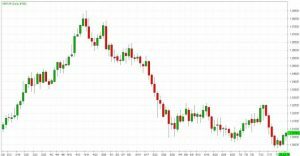 The single currency recovered recent losses while most major currency pairs stuck to narrow trading ranges ahead of economic data and central bank monetary policy meetings this week. The US dollar index, which measures the greenback against a basket of six currencies, was down 0.43% at 94.27. 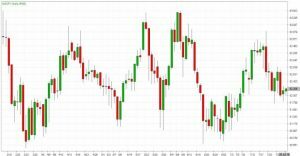 Overall, the EUR/USD traded with a low of 1.1646 and a high of 1.1717 before closing the day around 1.1707 in the New York session. The Japanese Yen was slightly lower as investors braced for the possibility that the Bank of Japan will announce changes to its monetary easing policy at the conclusion of a two-day meeting. The BoJ will consider changes to its massive stimulus program to make it more sustainable, such as allowing greater swings in interest rates and widening its stock-buying. Overall, the USD/JPY traded with a low of 110.87 and a high of 111.14 before closing the day around 111.05 in the U.S session. The British Pound posted gains in yesterday’s session. On the release front, British Net Lending to Individuals improved to GBP 5.4 billion, edging above the estimate of GBP 5.3 billion. Today, the U.S releases consumer spending and inflation indicators, as well as CB Consumer Confidence. The pound hasn’t made much noise in recent weeks. 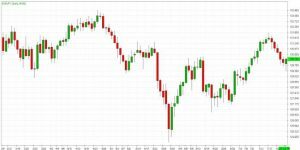 Overall, the GBP/USD traded with a low of 1.3095 and a high of 1.3150 before closing the day at 1.3133 in the New York session. The Canadian Dollar strengthened to a nearly seven-week high yesterday, boosted by higher oil prices and optimism that progress could be made in talks to revamp the NAFTA trade pact. Negotiations to update the North American Free Trade Agreement had stalled since June when the United States imposed tariffs on Mexican and Canadian steel. 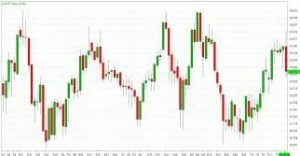 Overall, USD/CAD traded with a low of 1.2992 and a high of 1.3076 before closing the day at 1.3037 in the New York session. The Australian Dollar fell off against the US Dollar. Last week, the Australian dollar ended the week slightly lower against the US dollar. 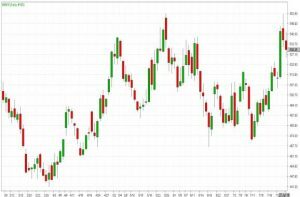 Since mid-June, the Australian dollar has been trading in a fairly narrow range against the US dollar. Following sharp sell-offs earlier this year, recent trading volumes in the currency have been fairly average. 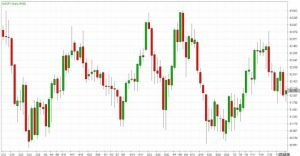 Overall, AUD/USD traded with a low of 0.7383 and a high of 0.7411 before closing the day at 0.7408 in the New York session. EUR/JPY is trading above 14, 50 and 100 days moving average. Fast stochastic is giving a bearish tone and MACD is also issuing a bearish stance. The Relative Strength Index is above 50 and lies above the neutral zone. In general, the pair has gained 0.48%. Currently, GBP/JPY is trading above 14, 50 and 100 days moving average. Fast stochastic is issuing a bearish tone and MACD is also indicating a bearish stance. The Relative Strength Index is above 43 reading and lies below the neutral zone. On the whole, the pair has gained 0.29%. Currently, the cross is trading above 14, 50 and 100 days moving average. Fast stochastic is giving a bearish tone and MACD is also indicating a bearish stance. The Relative Strength Index is above 47 reading and lies below the neutral region. In general, the pair has gained 0.14%. This cross is currently trading above 14, 50 and 100 days moving average. Fast stochastic is indicating a bearish tone and MACD is issuing a bullish signal. The Relative Strength Index is above 60 and lies above the neutral region. On the whole, the pair has gained 0.23%. This cross is trading above 14, 50 and below 100 days moving average. Fast stochastic is issuing a bearish stance and MACD is indicating a bullish tone. The Relative Strength Index is above 37 and lies below the neutral region. In general, the pair has lost 0.39%. 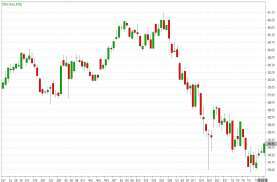 U.S stock indexes were lower on Friday as weak earnings reports from Intel and Twitter dragged on the technology sector and as healthcare stocks were pressured by a clutch of disappointing earnings. Intel sank 8.9 percent after its fast-growing data center business missed estimates amid faced stiff rivalry from Advanced Micro Devices. AMD rose 0.7 percent. Twitter’s shares plunged 19.4 percent after reporting fewer-than-expected monthly active users and warning of further drops as it deletes phony accounts. The technology sector fell 2.48 percent, the most among the major S&P sectors. Microsoft and Google’s parent Alphabet fell 2.9 percent and 3 percent, respectively. Both companies had reported upbeat quarterly results in the past two weeks. The U.S. economy grew at a 4.1 percent annualized rate in the second quarter, its fastest pace in nearly four years, the Commerce Department said, on higher consumer spending and rushed soybeans shipments to China to beat tariffs. 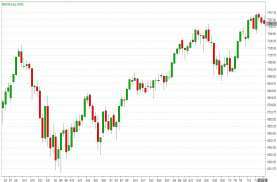 The Dow Jones Industrial Average declined 0.30% on Friday. The best performers of the session on the Dow Jones Industrial Average were Chevron Corp, which rose 1.63% or 2.02 points to trade at 125.97 at the close. Meanwhile, Walgreens Boots Alliance Inc. added 1.63% or 1.10 points to end at 68.64 and Verizon Communications Inc. was up 1.62% or 0.83 points to 52.01 in late trade. 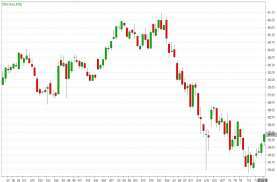 The worst performers of the session were Intel Corporation, which fell 8.59% or 4.48 points to trade at 47.68 at the close. 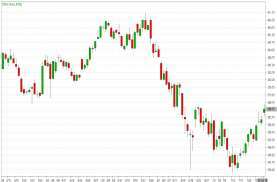 Exxon Mobil Corp declined 2.75% or 2.32 points to end at 81.92 and Cisco Systems Inc. was down 2.21% or 0.96 points to 42.57. 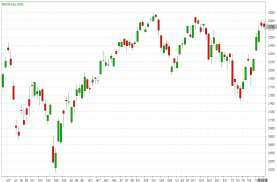 The tech heavy NASDAQ index lost 1.46% on Friday. The top performers on the NASDAQ Composite were SSLJ.com Ltd Class A which rose 125.79% to 1.3500, Biostar Pharmaceuticals Inc. which was up 36.69% to settle at 2.3100 and Wilhelmina which unchanged 0.00% to close at 6.85. The worst performers were Helios and Matheson Analytics Inc. which was down 70.72% to 2.000 in late trade, Tonix Pharmaceuticals Holding Corp which lost 65.82% to settle at 1.350 and Genprex Inc. which was down 54.58% to 3.1700 at the close. Oil prices fell on Friday, weighed down by a drop in the U.S. equities market, but Brent still marked a weekly increase, supported by easing trade tensions and a temporary shutdown by Saudi Arabia of a key crude oil shipping lane. 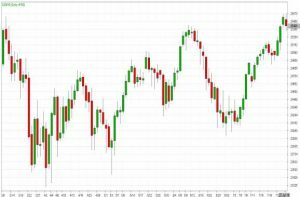 U.S. West Texas Intermediate (WTI) crude futures fell 92 cents to settle at $68.69 a barrel, and marked the fourth week of declines, falling about 2.4 percent. Depressing oil prices, U.S. stock markets broadly fell on Friday. Crude futures at times track with equities. The oil market largely brushed off government data on Friday that said the U.S. economy grew in the second quarter at its fastest pace in nearly four years. U.S. energy companies added three oil rigs in the week to July 27, the first time in the past three weeks that drillers have added rigs, General Electric Co’s Baker Hughes energy services firm said in Friday’s session. Gold inched higher on Friday as the U.S Dollar slid lower after strong U.S economic growth data while concern remains about trade tensions between the United States and Europe. The dollar slipped against a basket of currencies as data showing the U.S. economy rang up its strongest quarter in nearly four years failed to erase worries that trade frictions would be a drag in the second half of 2018. The greenback gave up initial gains after the U.S. government reported gross domestic product grew at a 4.1 percent annualized pace in the second quarter, matching the median forecast among economists polled by Reuters. The dollar weakened and treasury yields came off. Dollar weakness looks like it will continue and gold will see some short-term support. A weaker dollar makes dollar-priced gold less expensive for non-U.S. investors. Benchmark 10-year U.S. Treasury yields slipped from their highest level in 1-1/2 months. 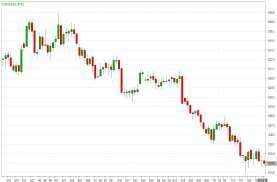 Spot gold edged up 0.1 percent to $1,223.46 an ounce, having hit a one-week low of $1,216.93, and was on track for its third consecutive weekly decline, of about 0.5 percent. In the physical markets, gold demand in India improved this week as domestic prices traded near a six-month low, while weaker rates in Singapore prompted a pick-up in demand there. Demand remained weak, however, in top consumer China as the yuan fell. Price action in gold is likely to be subdued in the coming weeks as physical demand is in the middle of a seasonally slow period, short interest in gold has risen as prices have fallen and there are 200 tonnes of loss-making ETF positions that could be liquidated. A key level of resistance will be $1,236, the double-bottom from a couple weeks ago. 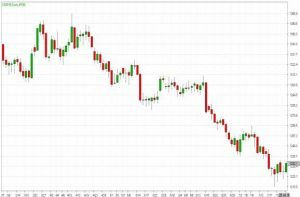 Among other precious metals, silver rose 0.5 percent at $15.45 per ounce but was heading for its seventh weekly decline. It earlier hit a one-week low at $15.29 an ounce. Soybean futures rose in Friday’s trading session, on track for their second straight weekly gain, bolstered by signs of strong export demand. Wheat futures were mixed, with winter wheat contracts easing while spring wheat contracts firmed amid concerns about crop shortfalls. Corn futures closed the session almost unchanged. The U.S Dollar edged lower against its rivals Friday after a preliminary reading of second-quarter U.S economic growth showed the economy grew at its fastest pace in nearly four years. The U.S. dollar index, which measures the greenback’s strength against a trade-weighted basket of six major currencies, fell by 0.14% to 94.44. The dollar had traded as high as 94.71 intraday. Gross domestic product increased at a 4.1% annual rate in the April-June period, the Commerce Department said Friday in its first estimate, in line with economists’ forecast. The strong GDP data was driven by a surge in consumer spending aided by tax cuts, but was partially offset by negative contributions from private inventory investment and residential fixed investment. Analysts questioned the sustainability of growth, however, as the benefits from fiscal stimulus on economic growth are expected to wane next year. While we expect the economy to remain strong in the near-term, we see growth slowing sometime next year as fiscal stimulus fades and tighter monetary conditions begin to bite. The subdued session for the dollar helped the euro steady from a slump on Thursday, when European Central Bank President Mario Draghi reiterated that rates would remain on hold until next year. EUR/USD rose 0.16% to $1.1662, but the pair remained on track to post a weekly loss. 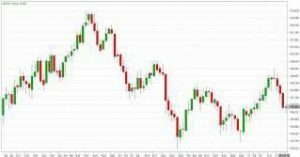 USD/JPY fell 0.38% to Y110.81 as traders remained cautions on initiating large positions in the pair as the Bank of Japan is expected to tweak policy at its meeting next week. Even a small move towards less accommodative policy by the Bank of Japan could see the Japanese yen strengthen materially. The Canadian dollar was little changed against its U.S. counterpart on Friday as the loonie held on to this week’s gains even after data showed the U.S economy expanded at its fastest clip in nearly four years. The single currency fell on Thursday, declining the most in a month, as the European Central Bank clung to its easy money policy and signaled no change in its timetable to move away from ultra-low rates or end its bond purchase program. In addition to the euro, the greenback strengthened against other major currencies. 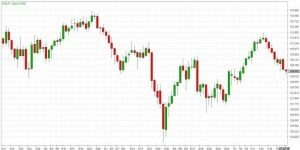 Overall, the EUR/USD traded with a low of 1.1619 and a high of 1.1662 before closing the day around 1.1655 in the New York session. The Japanese Yen posted slight gains in the Friday session. On the release front, Tokyo Core CPI edged higher in July, posting a gain of 0.8%. This beat the forecast of 0.7%. In the U.S, Advance GDP gained 4.1% in the second quarter, just shy of the estimate of 4.2%. This marked the strongest quarter of economic growth since 2014. Overall, the USD/JPY traded with a low of 110.77 and a high of 111.23 before closing the day around 110.97 in the U.S session. 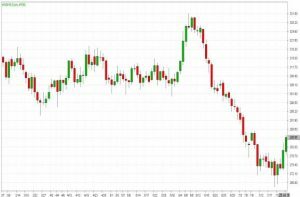 The British Pound has drifted a bit lower during the trading session on Friday, as we continue to see the US dollar show signs of strength. The GDP coming out of America should be strong, and as a result I think that the market should favor the dollar, but I also believe that the 1.30 level underneath is the floor. There should be plenty of demand in that area. 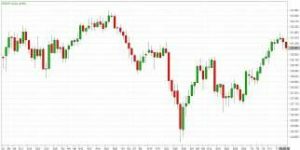 Overall, the GBP/USD traded with a low of 1.3080 and a high of 1.3129 before closing the day at 1.3103 in the New York session. The Canadian Dollar was little changed against its U.S counterpart on Friday as the loonie held on to this week’s gains even after data showed the U.S. economy expanded at its fastest clip in nearly four years. For the week, the loonie gained 0.7 percent. It has been boosted by stronger-than-expected domestic data and easing of trans-Atlantic trade tensions. 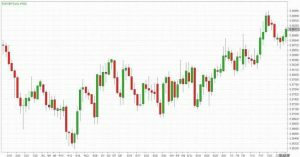 Overall, USD/CAD traded with a low of 1.3039 and a high of 1.3076 before closing the day at 1.3056 in the New York session. The Australian Dollar gained in Friday’s session helped by the decline in U.S Treasury yields, which made the greenback a less-desirable asset. The drop in yields was in response to concerns that current GDP growth is unsustainable as lingering trade tensions with China are likely to be a drag on the economy in the second half of 2018. Overall, AUD/USD traded with a low of 0.7368 and a high of 0.7412 before closing the day at 0.7402 in the New York session. EUR/JPY is trading above 14, 50 and 100 days moving average. Fast stochastic is giving a bearish tone and MACD is also issuing a bearish stance. The Relative Strength Index is above 44 and lies below the neutral zone. In general, the pair has lost 0.08%. Currently, GBP/JPY is trading above 14, 50 and 100 days moving average. Fast stochastic is issuing a bearish tone and MACD is also indicating a bearish stance. The Relative Strength Index is above 39 reading and lies below the neutral zone. On the whole, the pair has lost 0.23%. Currently, the cross is trading above 14, 50 and 100 days moving average. Fast stochastic is giving a bearish tone and MACD is also indicating a bearish stance. The Relative Strength Index is above 46 reading and lies below the neutral region. In general, the pair has gained 0.16%. This cross is currently trading above 14, 50 and 100 days moving average. Fast stochastic is indicating a bearish tone and MACD is issuing a bullish signal. The Relative Strength Index is above 57 and lies above the neutral region. On the whole, the pair has gained 0.15%. This cross is trading above 14, 50 and below 100 days moving average. Fast stochastic is issuing a bearish stance and MACD is indicating a bullish tone. The Relative Strength Index is above 41 and lies below the neutral region. In general, the pair has gained 0.02%. The U.S Dollar slid against a currency basket yesterday and the euro was flat as U.S President Donald Trump prepared to host European Commission President Jean-Claude Juncker for trade talks. The U.S. dollar index, which measures the greenback’s strength against a basket of six major currencies, edged down 0.13%. Trump is to host a European Union delegation in the White House, with talks set to center on the auto industry amid heightened trade tensions between Europe and Washington. Last month the U.S. slapped tariffs on steel and aluminum imports from the EU, which led to Europe putting 25% tariffs on bourbon whiskey, peanut butter, motorcycles and jeans. Ahead of the talks Trump tweeted that tariffs are “great”, and called for both sides to completely abolish tariffs, subsidies and other trade barriers. The EU said it is preparing to impose tariffs on $20 billion of U.S imports if Washington follows through on threats to impose tariffs on auto imports from the bloc. The euro was almost flat, with EUR/USD trading at 1.1692 in range bound trade. Investors were also looking ahead to a European Central Bank policy meeting on Thursday for fresh guidance on monetary policy. At its June meeting the ECB indicated that rates would remain on hold through the middle of 2019 and also announced plans to wind up its massive stimulus program in December. The dollar was a touch lower against the yen, with USD/JPY last at 111.09. 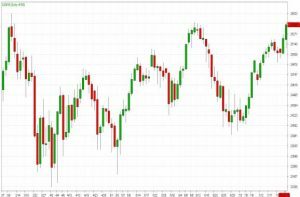 The Japanese currency found support earlier in the week following reports that the Bank of Japan is actively discussing changes to its massive monetary stimulus program. The BoJ is due to hold its next policy meeting at the end of the month. 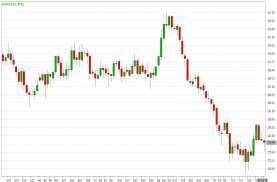 The pound was almost unchanged for the day, with GBP/USD at 1.3140. The Canadian dollar strengthened to a nearly six-week high against its U.S. counterpart yesterday. 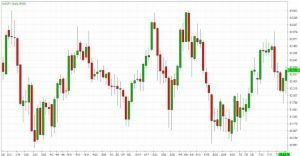 The single currency gained yesterday as the U.S Dollar dipped against a basket of currencies on Wednesday ahead of a meeting between President Donald Trump and European Commission President Jean-Claude Juncker, but investor caution about a trade rift between the two economic powers limited movement. 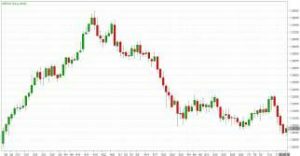 Overall, the EUR/USD traded with a low of 1.1662 and a high of 1.1737 before closing the day around 1.1726 in the New York session. 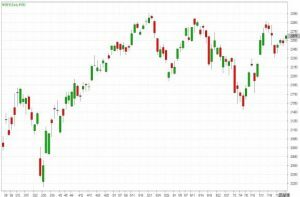 The Japanese Yen posted gains yesterday. In the North American session, USD/JPY traded, down 0.21% on the day. On the release front, U.S New Home Sales dropped sharply to 631 thousand, well off the estimate of 669 thousand. This marked a 4-month low. Recent trade tensions between the U.S and its trading partners have shaken investors worldwide. Overall, the USD/JPY traded with a low of 110.64 and a high of 111.36 before closing the day around 110.96 in the U.S session. The British Pound saw little action during the last few sessions, advancing on the back of dollar’s weakness. The UK released the CBI Realized Sales survey, which was the trigger to the early advance, as sales were up 20% in July, better than the 15% expected but well below the previous 32%. There are no economic releases scheduled in the kingdom today. 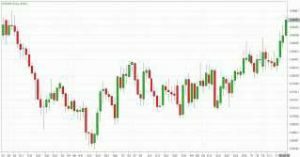 Overall, the GBP/USD traded with a low of 1.3131 and a high of 1.3199 before closing the day at 1.3188 in the New York session. The Canadian Dollar strengthened to a nearly six-week high as the greenback broadly fell and policy-makers said they were optimistic about prospects for the NAFTA. Canadian Foreign Minister and Mexican Economy Minister said they remained optimistic about the progress of the negotiations to revamp the NAFTA trade pact. 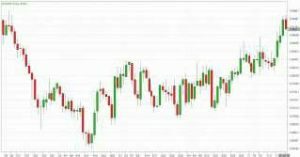 Overall, USD/CAD traded with a low of 1.3022 and a high of 1.3163 before closing the day at 1.3043 in the New York session. The Australian Dollar gained sharply in yesterday’s session. Australian inflation rose by 0.4% during the three months to the end of June, unchanged from the quarter-on-quarter rate of inflation seen back at the start of the year, when markets had been looking for it to rise by 0.5%. This pushed the annual consumer price index up to 2.1%, although economists had looked for a reading of 2.2%. Overall, AUD/USD traded with a low of 0.7390 and a high of 0.7462 before closing the day at 0.7448 in the New York session. EUR/JPY is trading above 14, 50 and 100 days moving average. Fast stochastic is giving a bearish tone and MACD is also issuing a bearish stance. The Relative Strength Index is above 50 and lies above the neutral zone. In general, the pair has lost 0.22%. Currently, GBP/JPY is trading above 14, 50 and 100 days moving average. Fast stochastic is issuing a bearish tone and MACD is also indicating a bearish stance. The Relative Strength Index is above 45 reading and lies below the neutral zone. On the whole, the pair has gained 0.04%. Currently, the cross is trading above 14, 50 and 100 days moving average. Fast stochastic is giving a bearish tone and MACD is also indicating a bearish stance. The Relative Strength Index is above 51 reading and lies above the neutral region. In general, the pair has gained 0.03%. This cross is currently trading above 14, 50 and 100 days moving average. Fast stochastic is indicating a bearish tone and MACD is issuing a bullish signal. The Relative Strength Index is above 56 and lies above the neutral region. On the whole, the pair has lost 0.27%. This cross is trading above 14, 50 and below 100 days moving average. Fast stochastic is issuing a bearish stance and MACD is indicating a bullish tone. The Relative Strength Index is above 45 and lies below the neutral region. In general, the pair has gained 0.25%. 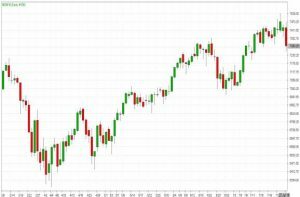 U.S stocks rallied to the close late in the session yesterday, with Wall Street equity benchmarks jumping to new heights following the announcement of a pact to ease trade tensions between the U.S. and the European Union after an important tête-à-tête between President Donald Trump and the EU’s Jean-Claude Juncker in Washington. 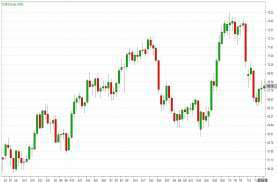 The S&P 500 surged by 25.67 points, or 0.9%, a rise sufficient to officially yank the broad-market benchmark out of correction territory, which it entered on Feb. 8. The Dow Jones Industrial Average rose 172.16 points, or 0.7%. Earlier in the session, the blue-chip average’s was weighed down by a sharp slide in industrials giant Boeing Co., one of its most influential stocks, which fell after releasing results and has been sensitive to trade tensions. The NASDAQ gained 91.47 points, or 1.2% to end at a fresh record, marking its 25th all-time high of 2018. During a news conference in the White House Rose Garden, Trump said that the U.S. and the EU will maintain a “close relationship” with “strong trade relations.” “Both of us will win,”. 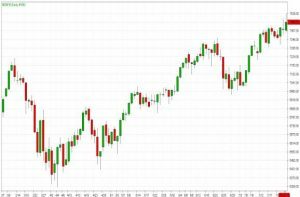 The Dow Jones Industrial Average rose 0.68% to hit new 3-months high yesterday. 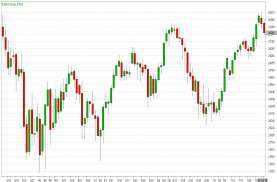 The best performers of the session on the Dow Jones Industrial Average were Microsoft Corporation, which rose 2.94% or 3.17 points to trade at 110.83 at the close. Meanwhile, Nike Inc. added 2.16% or 1.63 points to end at 77.16 and Visa Inc. was up 1.86% or 2.61 points to 142.64 in late trade. The worst performers of the session were Verizon Communications Inc., which fell 1.16% or 0.60 points to trade at 50.91 at the close. 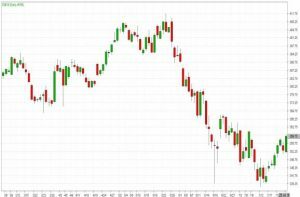 Boeing Co declined 0.66% or 2.35 points to end at 355.92 and Johnson & Johnson was down 0.57% or 0.74 points to 128.62. 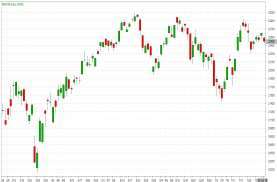 The tech heavy NASDAQ index gained 1.17% yesterday. The top performers on the NASDAQ Composite were resTORbio Inc. which rose 49.50% to 13.47, ViewRay Inc. which was up 25.65% to settle at 12.000 and Attunity Ltd which gained 25.00% to close at 15.900. The worst performers were Helios and Matheson Analytics Inc. which was down 50.12% to 10.600 in late trade, Agile Thrpe which lost 36.97% to settle at 0.29 and Biostar Pharmaceuticals Inc. which was down 36.18% to 1.3338 at the close. Oil prices rose for the second consecutive day yesterday after U.S government data showed domestic crude inventories fell to their lowest since February 2015, easing worries about oversupply that have weighed on markets in recent weeks. U.S West Texas Intermediate (WTI) crude futures rose 78 cents to settle at $69.30 a barrel, a 1.14 percent gain. U.S. crude inventories fell 6.1 million barrels in the week to July 20, data from the U.S. Energy Information Administration showed, to 404.9 million barrels, their lowest since February 2015. Analysts had expected a decrease of 2.3 million barrels. Crude stocks at the Cushing, Oklahoma, delivery hub fell by 1.1 million barrels, EIA said, their lowest since November 2014. Gasoline stocks fell 2.3 million barrels, EIA data showed, compared with analysts’ expectations in a Reuters poll for a 713,000-barrel drop. Prices were also supported by an International Monetary Fund report. 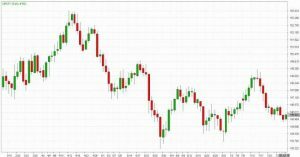 Gold ticked higher yesterday, but was still hovering near one-year lows as the dollar slipped, while a lack of clarity over where a trade dispute between the United States and Europe is heading kept markets mostly range bound. Spot gold rose 0.6 percent to $1,231.56 per ounce. U.S gold futures for August delivery settled up $6.30, or 0.5 percent, at $1,231.80 per ounce. The dollar continuing to creep slightly lower has been helpful across the board in commodity demand. A sliding greenback makes dollar-denominated gold cheaper for holders of other currencies, which could potentially boost demand. European Commission President Jean-Claude Juncker will travel to Washington yesterday for talks focused on trade tensions with U.S. President Donald Trump. The U.S. has imposed tariffs on EU steel and aluminum. There is scope for the dollar to ease a bit, which should provide support for gold, though an aggressive rally in the short term is unlikely. From a medium-term perspective we think this is a reasonable level to add length. Rising investor interest in gold can be seen in the holdings of the largest gold-backed, exchange-traded fund, New York’s SPDR Gold Trust, which are up more than 1 percent to 25.803 million ounces since July 18. SPDR holdings have been trending down since April 30, partly due to higher U.S. interest rates, raising the cost of holding gold, which earns no income, interest or dividends and costs money to store and insure. The U.S. central bank raised interest rates in June for the seventh time since December 2015. A Reuters poll found expectations for two more hikes this year. In the short term, upside should be limited as headwinds from the U.S. rate cycle persist. With the dollar expected to eventually roll over and upside pressure to U.S. bond yields easing, medium- to longer-term buying opportunities should open up. Silver gained 0.9 percent to $15.58 an ounce, after reaching an eight-day high of $15.63. 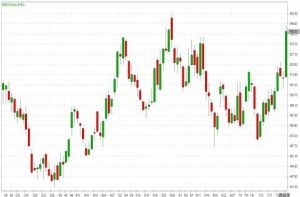 Soybean futures climbed to two-week highs in yesterday’s session as the Trump administration said it would provide up to US$12 billion in aid to shield U.S farmers from economic pain stemming from trade disputes. 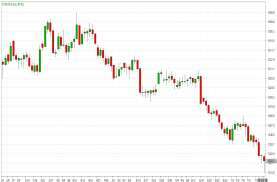 U.S stock index futures fell on Friday after President Donald Trump toughened his stance against China and said he was ready to impose levies on $500 billion worth of goods from the Asian nation. His comments on tariffs, which followed the United States and China imposing tariffs on $34 billion worth of each other’s goods this month, worried investors already grappling with the impact of a strengthening dollar on corporate results. German Chancellor Angela Merkel also said on Friday that U.S. tariffs on imported cars would be against WTO rules and that the European Union was looking at countermeasures. The latest round of U.S. tariffs on $200 billion worth of Chinese goods, held up for now by a formal public comment period, could impact Apple Inc’s watches, several Fitbit activity trackers and connected speakers from Sonos. Providing support was Microsoft, whose shares jumped 3.7 percent in premarket trading after its profit and revenue beat estimates on strong performance of its Azure cloud computing services business. 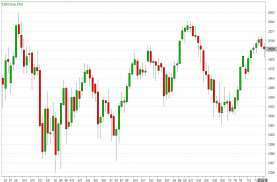 The Dow Jones Industrial Average declined 0.03% on Friday. 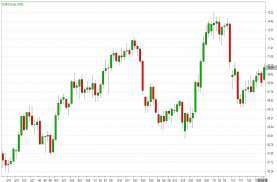 The best performers of the session on the Dow Jones Industrial Average were Microsoft Corporation, which rose 1.79% or 1.87 points to trade at 106.27 at the close. Meanwhile, JPMorgan Chase & Co added 1.26% or 1.39 points to end at 111.28 and Goldman Sachs Group Inc. was up 0.90% or 2.06 points to 231.69 in late trade. The worst performers of the session were International Business Machines, which fell 1.94% or 2.89 points to trade at 146.35 at the close. Caterpillar Inc. declined 1.86% or 2.60 points to end at 136.82 and Cisco Systems Inc. was down 0.92% or 0.39 points to 42.01. The tech heavy NASDAQ index lost 0.07%. The top performers on the NASDAQ Composite were Rewalk Robotics Ltd which rose 73.64% to 1.25, Aralez Pharmaceuticals Inc. which was up 25.46% to settle at 0.31 and SAExploration Holdings Inc. which gained 19.41% to close at 2.030. The worst performers were Zynerba Pharmaceuticals Inc. which was down 24.09% to 7.91 in late trade, FTD Companies Inc. which lost 19.47% to settle at 3.64 and Diversified Restaurant Holdings Inc. which was down 16.53% to 1.010 at the close. Oil prices rose on Friday as a weakening dollar and lower expected August crude exports from Saudi Arabia supported the market, offsetting concerns about U.S.-China trade tensions and supply increases. U.S. crude strengthened late in the session as the U.S. dollar index slipped to a four-day low, on reports that U.S. President Donald Trump worries that the Federal Reserve will raise rates twice this year. The dollar was a one-way ticket for the last couple of weeks and basically reversed directions, giving us some strong support. U.S. drillers this week cut five oil rigs, the most since March, according to a Baker Hughes report, with the rate of growth slowing over the past month with recent declines in crude prices. Prices also received a boost after OPEC’s largest oil producer, Saudi Arabia, said it would temper its exports next month. Gold prices edged up in volatile trade on Friday, after hitting a one-year low in the previous session, as the U.S. dollar eased from its highest in a year. Spot gold was trading at $1,224.55 an ounce. In the previous session, it fell to its weakest since July last year at $1,211.08 an ounce. U.S. gold futures were little changed at $1,224.40 an ounce. Geopolitical tensions such as trade war are supporting gold to some extent but investors are still not ready to hedge their bets fully, they think the current situation is only a hiccup and things will smooth out after that. The dollar index, which measures the greenback against a basket of six major currencies, was down 0.03 percent at 95.123, after U.S. President Donald Trump expressed concern about the currency’s strength and the Federal Reserve’s interest rate increases. Trump on Thursday criticized Fed’s policy even though most economists believe the highest inflation in seven years and lowest unemployment in 40 years justify recent interest rate rises and a strong U.S. dollar. This comes after Fed Chairman Jerome Powell’s two-day congressional testimony where he said the U.S. was on course for years more of steady growth and reaffirmed expectations for more interest rate rises. Rising U.S. interest rates tend to boost the dollar and make gold more expensive for other holders. Elsewhere, officials from the EU Trade Commission are due to arrive in Washington next week for trade talks but the bloc is preparing a list of U.S. imports to hit if the United States imposes tariffs on EU cars. Financial leaders of the world’s 20 biggest economies meet in Buenos Aires this weekend for the first time since China and the United States put tariffs on $34 billion of each other’s goods. It seems gold cannot really get anything going on the upside. Despite what the U.S. President said, investors quickly concluded that his opinions do not count much when it comes to the Federal Reserve actions. In other precious metals, silver rose 0.9 percent to $15.41 an ounce. 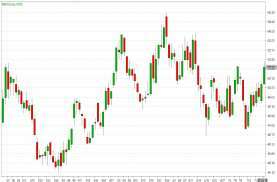 Wheat futures sailed to their highest prices in more than a month on Friday on technical buying and expectations for increased U.S exports as poor crop weather hurts harvests in other countries. The U.S Dollar fell on Friday after U.S. President Donald Trump criticized the Federal Reserve for increasing interest rates but was still on target for a second week of gains. The U.S dollar index, which measures the greenback’s strength against a basket of six major currencies, was down 0.15% to 94.84. Despite the dip, the dollar was on target for a second straight week of gains and has risen more than 5% in the last three months due to expectations that interest rates will rise. Trump said in an interview on CNBC that he does not approve of how the Fed is approaching monetary policy. The Fed raised rates twice this year and is expected to raise rates at least once more before the end of the year. “I’m not thrilled,” Trump said. “Because we go up and every time you go up they want to raise rates again. I don’t really — I am not happy about it. But at the same time I’m letting them do what they feel is best.” Meanwhile trade tensions continued, with the European Union expected to retaliate against the U.S. with more tariffs after America imposed tariffs on steel and aluminum in June. Tariffs on around $3.8 billion of U.S. goods have already been imposed by Europe. The dollar was lower against the safe-haven yen, with USD/JPY decreasing 0.06% to 112.39. In times of uncertainty, investors tend to invest in the Japanese yen, which is considered a safe asset during periods of risk aversion. This week, investors will have a chance to see how the U.S economy performed in the second quarter. Friday’s GDP report is expected to show that the economy rebounded in the three months to June, boosted by an increase in consumer spending. Markets will also get an update on the health of the housing market, with reports due out on existing and new home sales. In Europe, monetary policy will be in focus, with the European Central Bank expected to leave rates on hold at its meeting on Thursday, following policy changes at its last meeting. Investors will also be monitoring developments in the intensifying global trade conflict, which has roiled markets. U.S. President Donald Trump indicated Friday that he is prepared to slap tariffs on all Chinese imports to the U.S., worth around $500 billion per year. Trump made the threat in a pre-recorded interview with CNBC that aired on Friday. The single currency has been treading water. It is unlikely to find a rescuing hand from the ECB, whose policymakers met last week. While analysts expect the shared currency to strengthen as the year progresses, the conviction in that view is shaky, with strategists having pared their calls recently. The euro has weakened about 2.5 per cent so far this year. 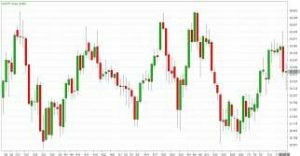 Overall, the EUR/USD traded with a low of 1.1624 and a high of 1.1737 before closing the day around 1.1719 in the New York session. 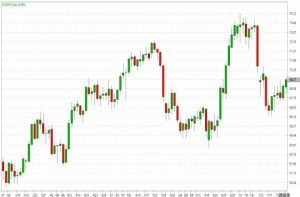 The Japanese Yen pair retreated further from the multi-month high of 113.17 and finished the week in the red at 111.42, amid broad dollar’s weakness following comments from US President Trump. Comments from Fed’s Bullard added to the pair’s decline, as he said that the Fed should hold off on hiking further. 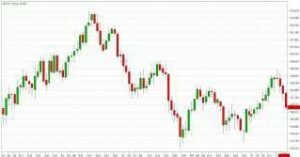 Overall, the USD/JPY traded with a low of 111.38 and a high of 112.60 before closing the day around 111.45 in the U.S session. 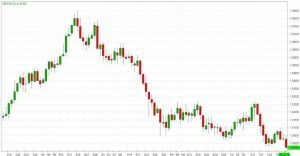 The British Pound came off recent multi-month lows against the Dollar following the closing of Brexit-related talks in Brussels. Granted, the 0.60% advance in GBP/USD flatters the picture somewhat as the move is largely a function of Dollar weakness in the wake of some punchy comments on the Dollar’s ongoing ascent from President Donald Trump. 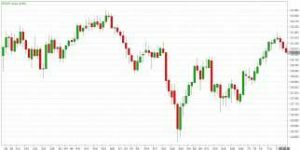 Overall, the GBP/USD traded with a low of 1.2993 and a high of 1.3138 before closing the day at 1.3134 in the New York session. The Canadian Dollar rose against a broadly weak U.S. dollar on Friday after strong inflation and retail sales data reinforced expectations for another interest rate hike by the Bank of Canada this year. The loonie posted its largest one-day gain versus the U.S. dollar in three weeks.. Canada’s annual inflation rose last month to its highest level in more than six years. 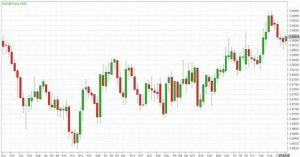 Overall, USD/CAD traded with a low of 1.3112 and a high of 1.3287 before closing the day at 1.3131 in the New York session. The Australian Dollar gained sharply in Friday’s trading session as the U.S Dollar held below a one-year high on Friday after U.S President Donald Trump expressed concern about a stronger currency, although a weakening Chinese Yuan reduced risk appetite. Trump said a strong dollar puts the United States at a disadvantage. Overall, AUD/USD traded with a low of 0.7316 and a high of 0.7429 before closing the day at 0.7421 in the New York session. EUR/JPY is trading above 14, 50 and 100 days moving average. Fast stochastic is giving a bearish tone and MACD is issuing a bullish stance. The Relative Strength Index is above 56 and lies above the neutral zone. In general, the pair has lost 0.22%. Currently, the cross is trading above 14, 50 and 100 days moving average. Fast stochastic is giving a bearish tone and MACD is indicating a bullish stance. The Relative Strength Index is above 51 reading and lies above the neutral region. In general, the pair has gained 0.03%. This cross is currently trading above 14, 50 and 100 days moving average. Fast stochastic is indicating a bullish tone and MACD is also issuing a bullish signal. The Relative Strength Index is above 63 and lies above the neutral region. On the whole, the pair has lost 0.27%. This cross is trading above 14, 50 and below 100 days moving average. Fast stochastic is issuing a bearish stance and MACD is indicating a bullish tone. The Relative Strength Index is above 39 and lies below the neutral region. In general, the pair has gained 0.25%. 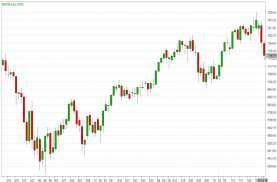 U.S stocks fell in midday trading yesterday, as major indexes consolidated their gains after a five-day rally that was driven largely by optimism over the strength of corporate earnings. The Dow Jones Industrial Average was down 120 points, or 0.4%. The blue-chip average is coming off its longest winning streak in two months. The S&P 500 slipped 9 points a 0.3% decline. The NASDAQ fell 22 points, or 0.3%. At current levels, the S&P is about 2.4% below its own record, while the Dow is 5.8% under its own. The muted action yesterday came as traders absorbed recent market-moving events, including Federal Reserve Chairman Jerome Powell’s two-day congressional testimony, upbeat economic data and a raft of largely positive earnings. Initial jobless claims fell by 8,000 last week, dropping to their lowest level since late 1969. Separately, the Philly Fed manufacturing index rose 6 points to a reading of 25.7 in July, above expectations. Oil prices rebounded sharply after Saudi Arabia said it expects to see a drop in August exports, while gold prices slumped. 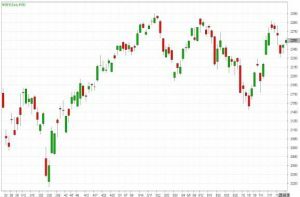 The Dow Jones Industrial Average declined 0.53% yesterday. 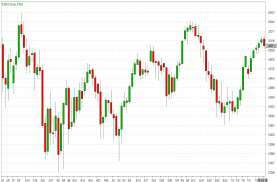 The best performers of the session on the Dow Jones Industrial Average were International Business Machines, which rose 3.27% or 4.72 points to trade at 149.24 at the close. Meanwhile, Walt Disney Company added 1.30% or 1.44 points to end at 112.13 and Home Depot Inc. was up 0.83% or 1.66 points to 202.63 in late trade. The worst performers of the session were The Travelers Companies Inc., which fell 3.71% or 4.82 points to trade at 125.18 at the close. American Express Company declined 2.73% or 2.81 points to end at 100.17 and Walgreens Boots Alliance Inc. was down 1.86% or 1.23 points to 64.93. The tech heavy NASDAQ index fell 0.37% yesterday. The top performers on the NASDAQ were Schmitt Industries Inc. which rose 29.58% to 3.110, AC Immune Ltd which was up 21.48% to settle at 14.31 and Adomani Inc. which gained 20.62% to close at 0.78. The worst performers were Mersana Therapeutics Inc. which was down 31.59% to 11.26 in late trade, AGM Group Holdings Inc Class A which lost 19.30% to settle at 13.84 and Resources Connection Inc. which was down 17.20% to 14.20 at the close. Crude dipped yesterday as concerns about mounting supply returned after a brief rally earlier in the session on comments that Saudi Arabia’s exports would fall in August. Crude prices fell from session highs reached after Saudi Arabia’s OPEC Governor Adeeb Al-Aama statement that the kingdom expects crude exports to drop by roughly 100,000 bpd in August as it limits excess production. U.S. West Texas Intermediate (WTI) was 70 cents higher, or 1 percent, settling at $69.46. U.S crude prices had reached a session high of $70.17 earlier in the session before paring gains. 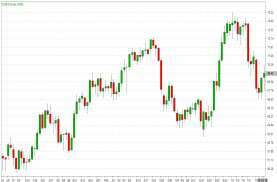 Crude prices pulled back from highs earlier in the session as traders cashed in on profits, said John Kilduff, a partner at Again Capital Management in New York. Prices, which had strengthened on news of Saudi Arabia’s planned export cuts, fell as the market’s focus returned to potential oversupply as Saudi Arabia, Russia and other major producers continue to lift output. Gold sank to a one-year low yesterday as the dollar powered higher after comments from U.S. Federal Reserve chairman Jerome Powell which reaffirmed expectations for more interest rate rises in the world’s largest economy. Powell, in a closely watched two-day congressional testimony, said he believed the United States was on course for years more of steady growth, and carefully played down the risks to the U.S. economy of an escalating trade conflict. The Fed raised rates in June and policymakers indicated they expect two more rate increases this year. Powell said nothing in his testimony this week to undermine that, and said the economy was poised for several more years of growth. Gold is highly exposed to interest rates, particularly in the United States, as higher rates lift the opportunity cost of holding non-yielding assets and boost the dollar, in which gold is priced. Spot gold fell 0.7 percent to $1,217.95 per ounce, having earlier touched its lowest since July 2017 at $1,211.08. U.S. gold futures for August delivery were 0.9 percent lower at $1,216.56 an ounce. Gold is not being used as a safe haven right now despite the ongoing trade war, and the stronger dollar is dominating the story amidst the rate-rising environment. Gold is generally regarded as a safe and stable store of value during times of global uncertainty. The dollar rose to a one-year high against a basket of six major currencies, supported by bullish comments from Powell, which affirmed expectations for more interest rate increases this year. U.S. President Donald Trump said on Wednesday the United States may hammer out a trade deal with Mexico, and then do a separate one with Canada later, sowing fresh doubts about the future of the North American Free Trade Agreement (NAFTA). Among other precious metals, silver was down 1.6 percent at $15.27 an ounce, its lowest since last July. Platinum was 2.2 percent lower at $795 an ounce, its lowest since 2008. 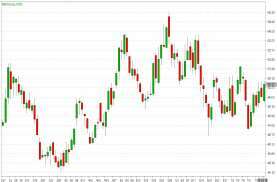 Soybean futures eased slightly in yesterday’s session amid a strengthening dollar as the market stepped back from the previous sessions near one-week top, though demand for U.S beans kept a floor under the market. The Dollar reversed course against its rivals in yesterday’s trading session after U.S. President Trump said he was “not happy” about Federal Reserve rate hikes but downside was limited amid optimism over the U.S economy. The U.S. dollar index, which measures the green against a trade-weighted basket of six major currencies, fell by 0.08% to 94.75, after hitting a session high of 95.44. “I’m not happy about it,” President Donald Trump said about interest-rate increases during an interview with CNBC yesterday, claiming that “higher rates put us [United States] at a disadvantage.” Trump insisted, however, that he would let the “Fed do what they feel is best.” The comments scaled back some investor optimism over a faster pace of rate hikes which had followed bullish comments from Federal Reserve chair Jerome Powell earlier in the week. Powell said gradual interest rate hikes would be “the best way forward” for the economy, citing stronger labor markets, and inflation that had met the Fed’s 2% objective. Downside in the dollar limited, however, as positive economic data reaffirmed investor expectations the economy remained on solid footing. The U.S. Department of Labor reported yesterday that initial jobless claims dropped by 8,000 to a seasonally adjusted 207,000 for the week ended July 14, beating economists’ forecast for a drop to 220,000. The Philadelphia Fed said Thursday its manufacturing index rose to a reading of 25.7 in July from 19.9 in June. GBP/USD fell 0.23% to $1.3039, after plunging below $1.30 earlier as UK retail sales undershot expectations, denting the prospect for an August Bank of England rate hike. Retail sales month over month fell by 0.5% in June, lower than the expected increase of 0.1%. Sales for May were revised upward from 1.3% to 1.4%. The core retail sales figure, which excludes automobiles and fuel, fell by 0.6% – lower than the expected drop of 0.3%. Overall retail sales growth for the second quarter came in at the strongest level since 2004 despite the fall in June. Safe-haven currencies were in demand as the yen and Swiss franc rose against the greenback on the back of renewed concerns about an escalation in the U.S.-China trade war. The single currency gained in yesterday’s trading session as the Dollar fell from a one-year peak yesterday after U.S. President Donald Trump expressed concern about a strong currency, which he said puts the United States at a disadvantage. The five-year growth run has been supported by exceptionally loose monetary policy. 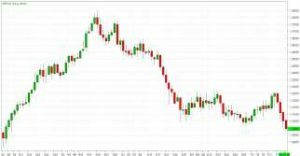 Overall, the EUR/USD traded with a low of 1.1573 and a high of 1.1677 before closing the day around 1.1640 in the New York session. The Japanese Yen pair fell from a one-year peak on Thursday after U.S. President Donald Trump expressed concern about a strong currency, which he said puts the United States at a disadvantage. The greenback also gave back some of its gains against the Chinese Yuan, which had earlier dropped to a one-year low against the dollar. Overall, the USD/JPY traded with a low of 112.04 and a high of 113.15 before closing the day around 112.45 in the U.S session. The British Pound dropped below the $1.30 level on Thursday as a result of an unexpected drop in consumer spending in June, further sliming the chances of a Bank of England rate hike in August. Retail sales month over month fell by 0.5% in June, lower than the expected increase of 0.1%. Sales for May were revised upward from 1.3% to 1.4%. 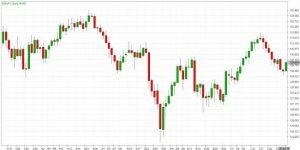 Overall, the GBP/USD traded with a low of 1.2955 and a high of 1.3081 before closing the day at 1.3012 in the New York session. 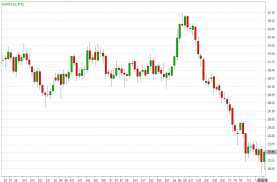 The Canadian Dollar fell to a three-week low against a strong U.S Dollar yesterday, hammered by weaker commodity prices and lingering uncertainty about global trade after President Donald Trump said the United States wants to negotiate bilateral deals with Canada and Mexico. Lower commodity prices weighed on the commodity-based Canadian currency. 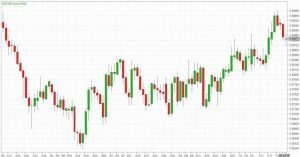 Overall, USD/CAD traded with a low of 1.3157 and a high of 1.3287 before closing the day at 1.3270 in the New York session. 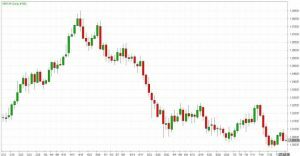 The Australian Dollar rose broadly earlier in yesterday’s session after official data appeared to show the 2018 slowdown in Aussie jobs growth coming to an end in June but fell later in the day. Australia’s economy created 59,900 new jobs during the recent month, according to the Australian Bureau of Statistics, up from 13,400 in May and far ahead of the consensus for an increase of 16,700. 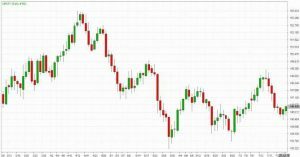 Overall, AUD/USD traded with a low of 0.7320 and a high of 0.7439 before closing the day at 0.7355 in the New York session. EUR/JPY is trading above 14, 50 and 100 days moving average. Fast stochastic is giving a bearish tone and MACD is issuing a bullish stance. The Relative Strength Index is above 59 and lies above the neutral zone. In general, the pair has lost 0.31%. Currently, GBP/JPY is trading above 14, 50 and 100 days moving average. Fast stochastic is issuing a bearish tone and MACD is also indicating a bearish stance. The Relative Strength Index is above 44 reading and lies below the neutral zone. On the whole, the pair has lost 0.75%. Currently, the cross is trading above 14, 50 and 100 days moving average. Fast stochastic is giving a bearish tone and MACD is indicating a bullish stance. The Relative Strength Index is above 51 reading and lies above the neutral region. In general, the pair has lost 0.90%. This cross is currently trading above 14, 50 and 100 days moving average. Fast stochastic is indicating a bullish tone and MACD is also issuing a bullish signal. The Relative Strength Index is above 70 and lies above the neutral region. On the whole, the pair has gained 0.45%. This cross is trading above 14, 50 and below 100 days moving average. Fast stochastic is issuing a bearish stance and MACD is indicating a bullish tone. The Relative Strength Index is above 35 and lies below the neutral region. In general, the pair has lost 0.41%.